There's a reason women around the world try to emulate the looks of Bridgette Bardot, Marion Cotillard, Audrey Tautou, and other famous French starlets. As Coco Chanel said, "fashion changes, but style endures," and Parisiennes, in particular, embody the sentiment by forgetting the trends and sticking to the classics. Though there are many sides to dressing "French girl cool," we've carved out a few ways to start. Here, 15 essential items that'll have you looking effortlessly chic in no time. Iconic French couturier Yves Saint-Laurent introduced his Le Smoking suit in 1966, pioneering tailored, minimalist menswear for women. It wasn't long before the pantsuit was popularized and riffed on by ready-to-wear designers the world over. 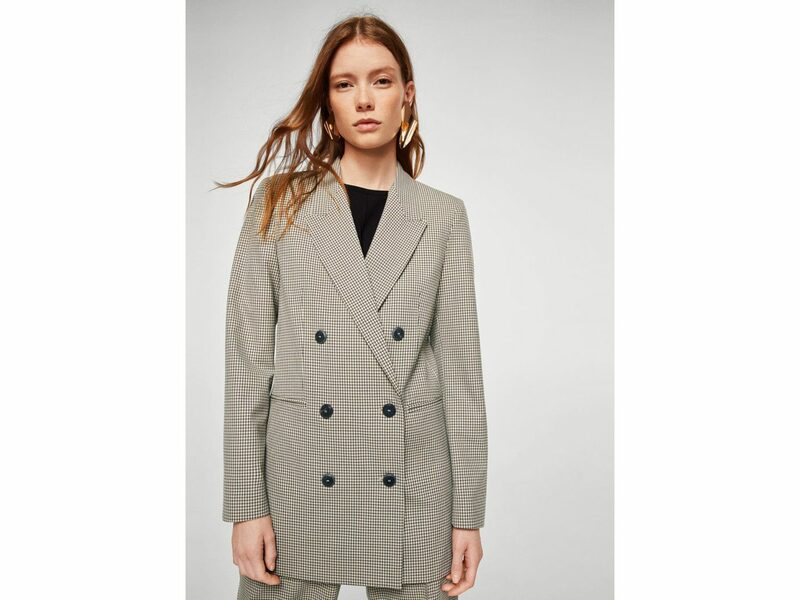 The first step to French-ifying your closet is purchasing a classic black smoking jacket; we love this structured $120 silhouette from Mango. “A woman with good shoes is never ugly.” Following this Coco Chanel advice, French women know that good shoes aren't just about fashion, but also function. 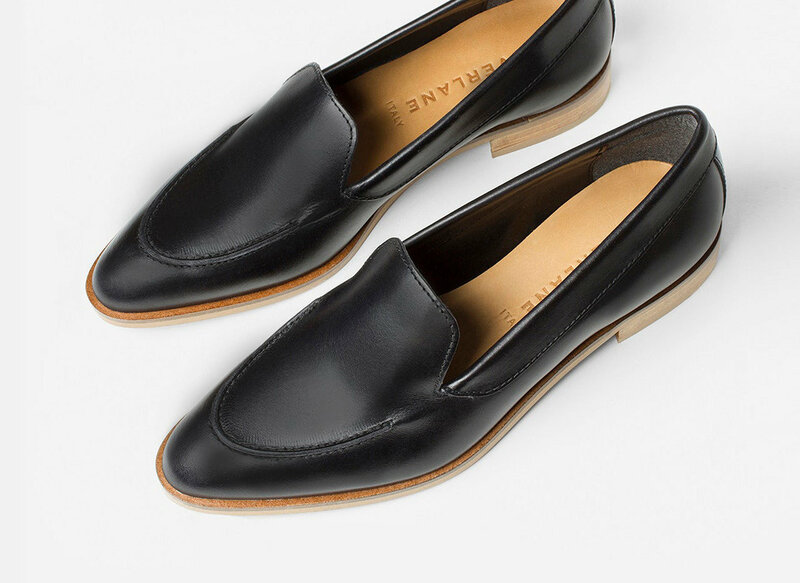 Everlane's sleek black leather loafers show you understand and embrace the sentiment. 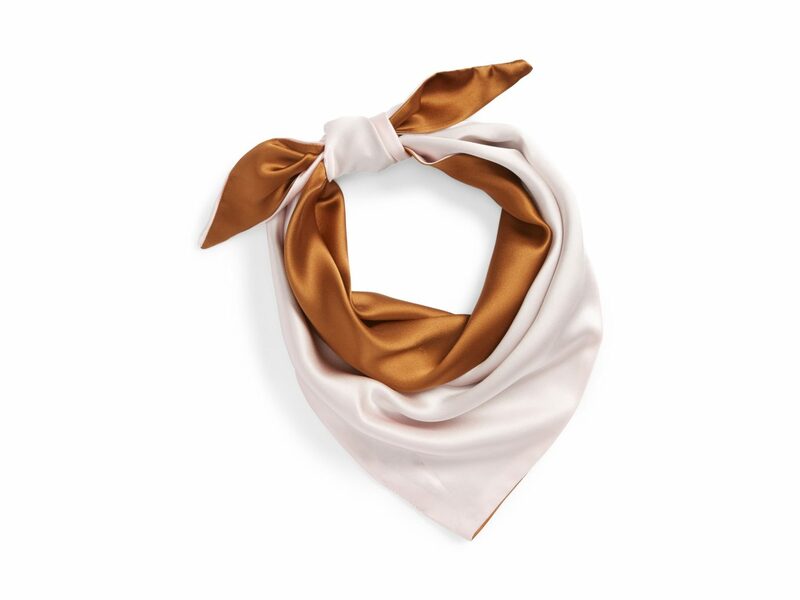 For those in NYC, Chicago, and Boston, scarves may seem like a strictly winter accessory, but our friends on the other side of the Atlantic have perfected the everyday wear of thin silk, cashmere, and cotton écharpes. One way to instantly build a French closet to to invest in long-lasting, versatile pieces. 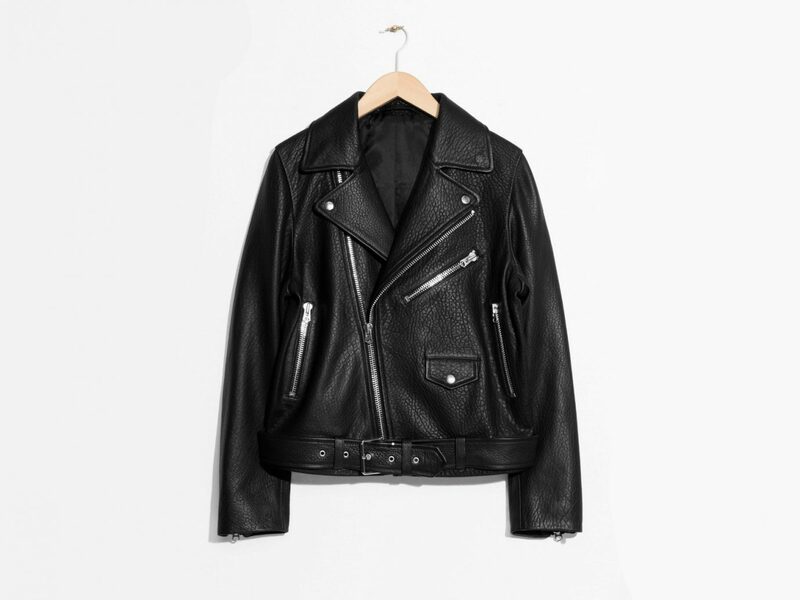 Rather than buying into fast-fading trends, French women embrace big-ticket items—like this leather biker jacket from & Other Stories—that will last them a lifetime. Dressing French is all about balanced fashion that errs on understated. 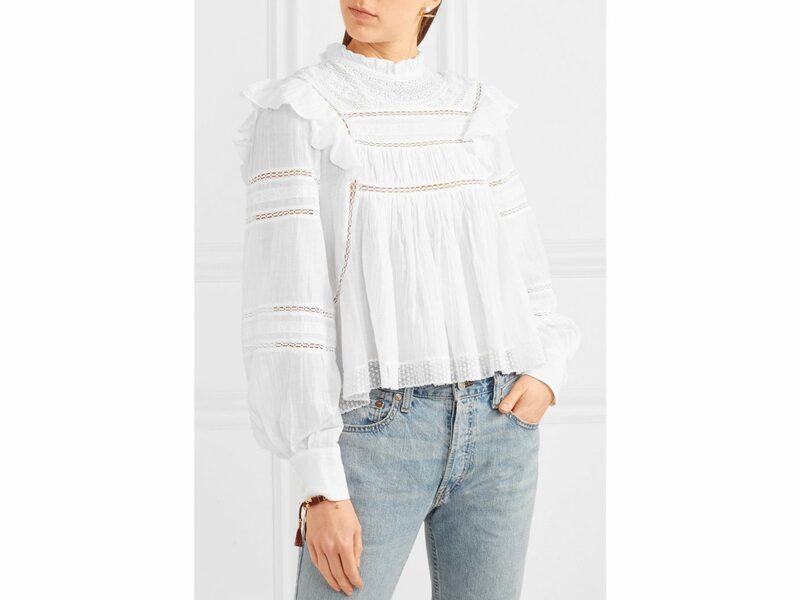 This high-neck top, from French fashion house Isabel Marant, nails that philosophy with delicate ruffled lace in a neutral hue. 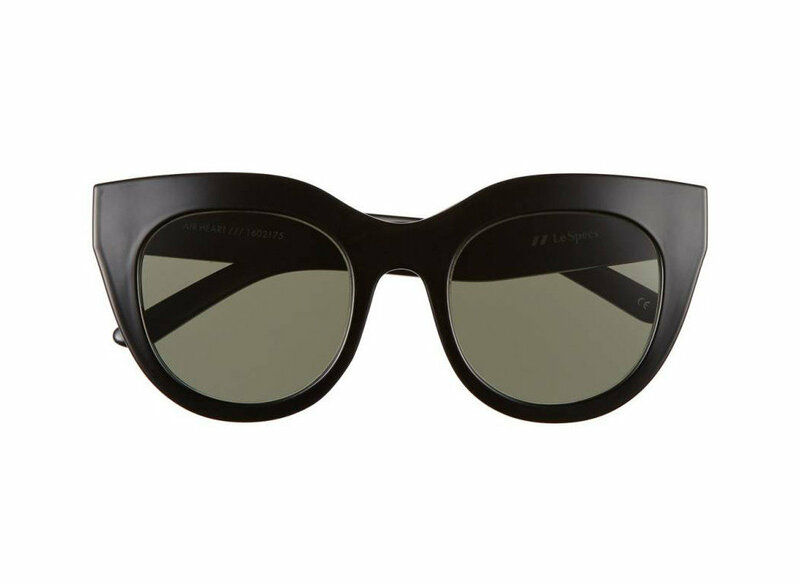 Thick-framed sunnies are a fave among the French. Go for a slight cat eye pair for added retro appeal. 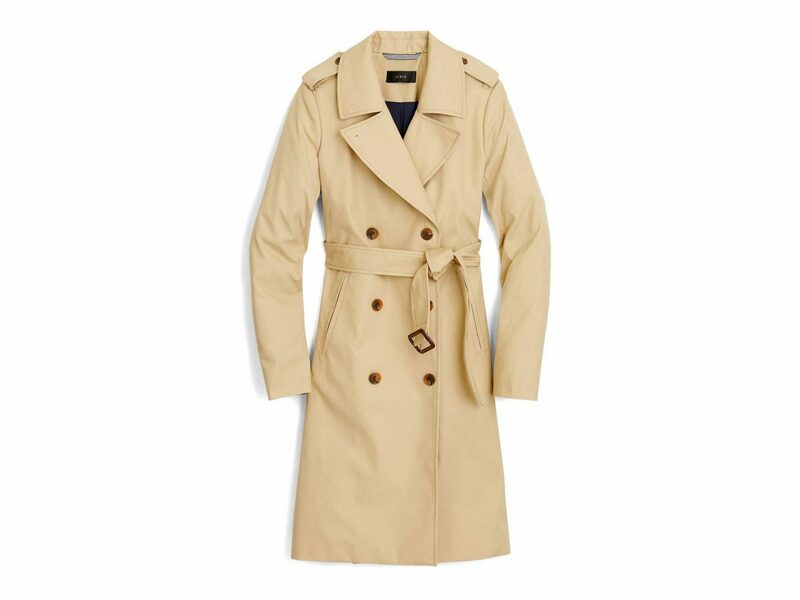 Parisian women have adopted the trench as their go-to outerwear and with good reason. The wear-with-anything coat can be paired with jeans and converse or a skirt and heels and while it's perfect for warmer spring temps, it can also be layered for winter wear. Quilted bags are well-beloved by Parisian women, but rather than dropping a cool $5K on a classic Coco Chanel design, dip your toes into the style with this cross-body from "cool girl" French ready-to-wear brand A.P.C. 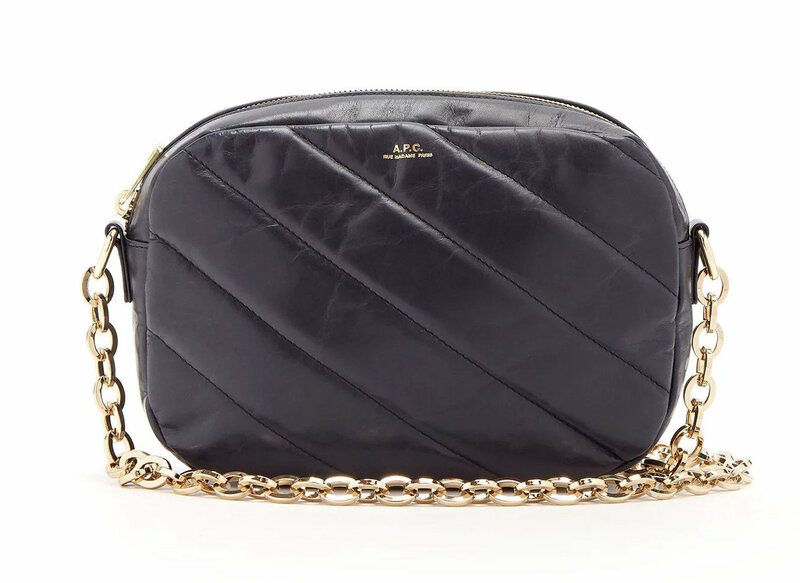 The navy bag features diagonal quilted leather and a gold-tone metal chain that's easy to pair with any outfit. 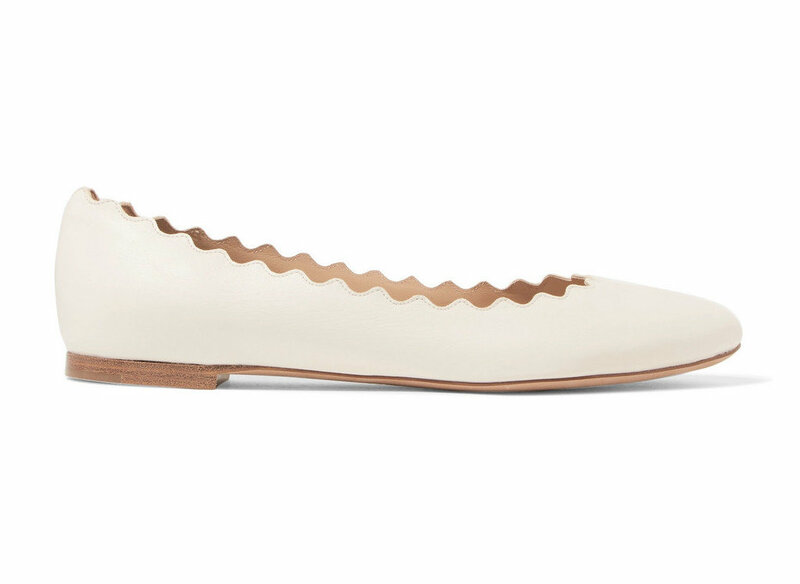 Flats are a Parisienne's best friend. 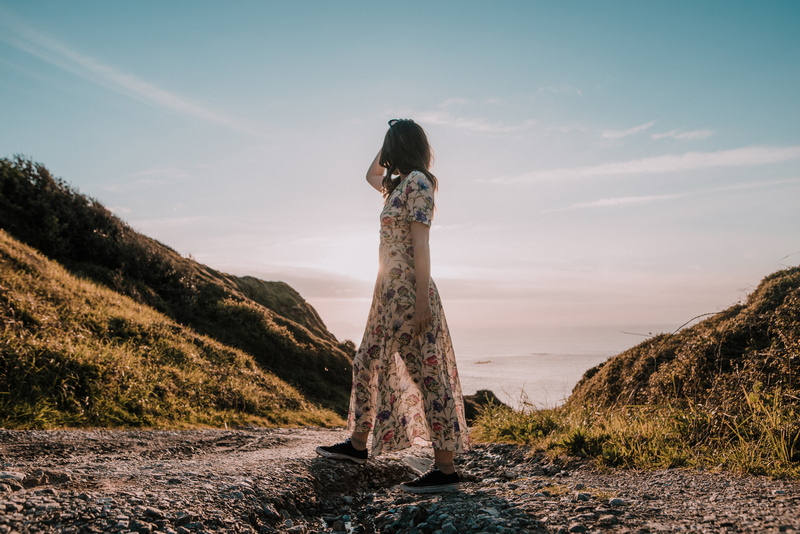 The chic footwear can be paired up or down with jeans, skirts, and dresses and they ensure you can traverse the city in comfort. 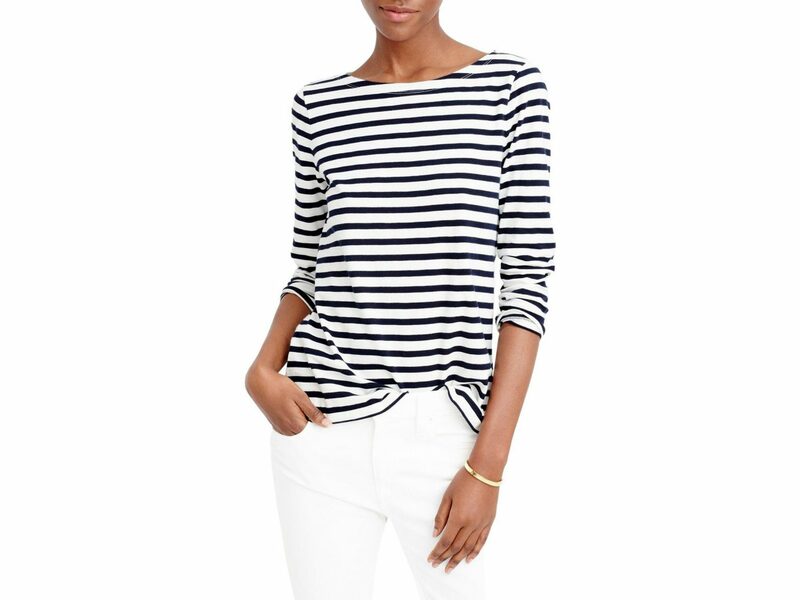 Stripes may seem too stereotypical, but as long as you're not pairing them with a beret, a red lipstick, and a trench, Breton tops are A-okay and effortlessly chic. French women rarely sport flashy fashions and that includes accessories. 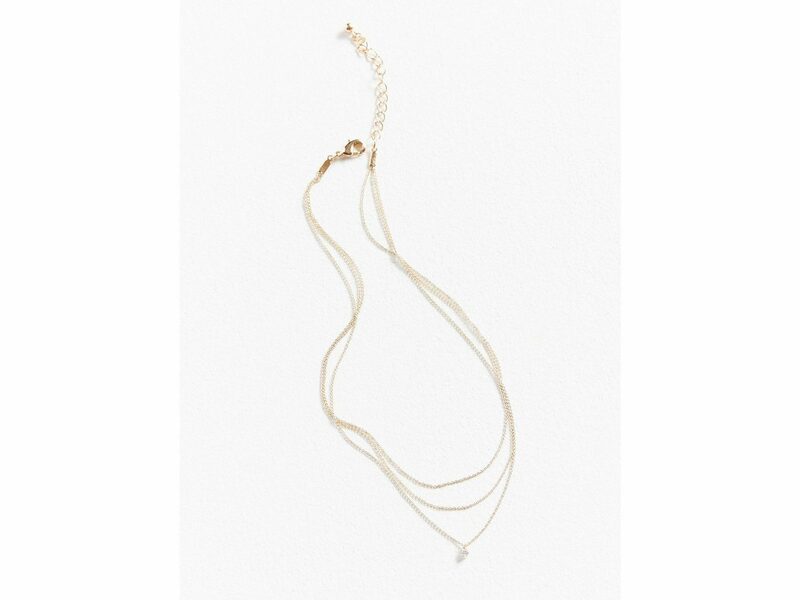 Simple pieces—like this layered micro-chain necklace—add an ultra-feminine touch to any outfit. The second temps start to drop, a statement coat is the way to go. No matter what you pair it with, the chic outerwear does all the talking. This double-breasted blazer works well with edgy boots or slip-on mules. Yoga pants and loud bottoms are largely a no-go in France. 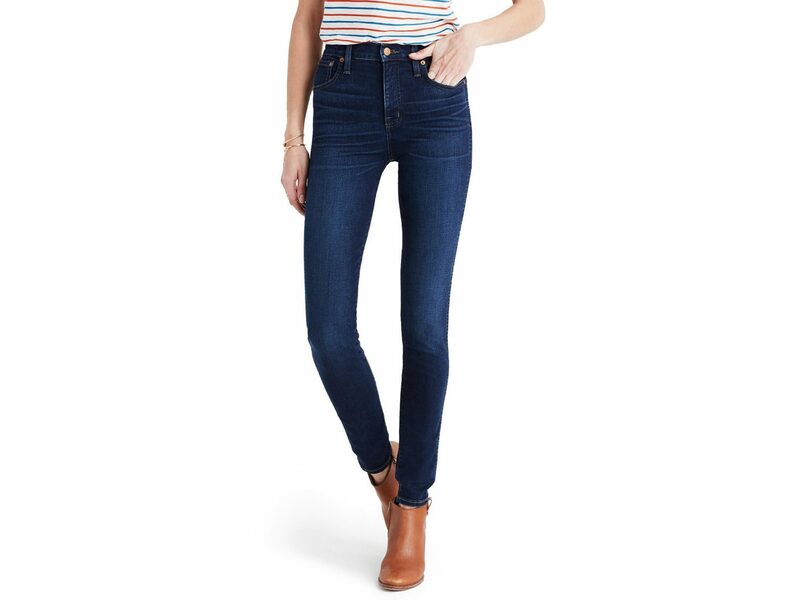 To fit in with the locals, opt for well-fitting skinny jeans—preferably high-waisted. They're fashionable, functional and easy to wear. Yes, French ladies wear heels for appropriate occasions, but they also know that long days on their feet require reasonable footwear. 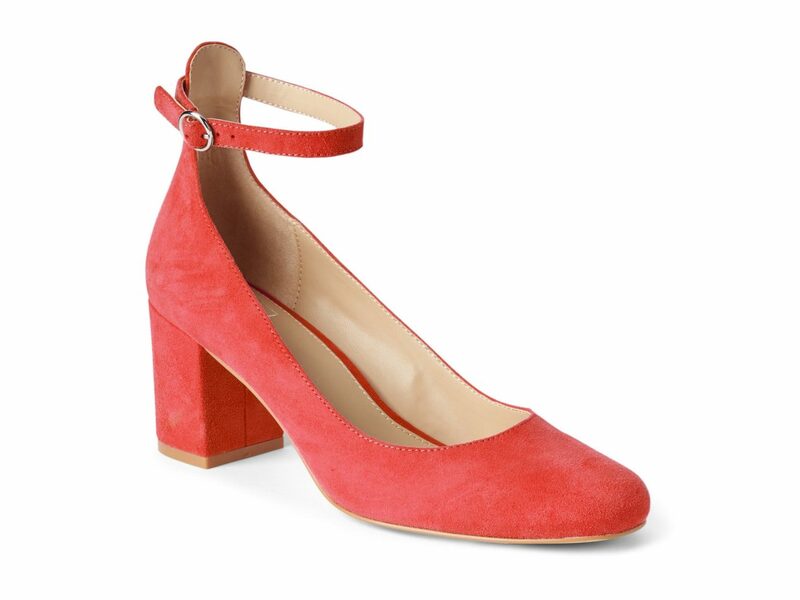 Instead of going for a stiletto, opt for a kitten or block heel that would be as well-suited to your commute as your favorite cafe. Having an array of muted layers is essential in crafting your chic closet. To change things up, play around with different textures and subtle design details like silk, cashmere, bows, and collars.